What does the coming year hold for the media and what will the impact be on news and journalism? 2015 was a year of enormous change, and there’s no reason to expect 2016 to be any different. So, here are five trends I think will define the next 12 months. The current status quo for digital advertising in media cannot continue. Advertising is too intrusive. Splash screens, auto-playing video, and ads that scroll the screen are ruining the user experience. On a desk-top this can be annoying but for mobile users it can destroy the user’s relationship with the publisher. I’ve lost count of the number of times I have left an Independent article without reading it on my iPhone because the splash screen can’t be easily removed. And now I don’t bother reading them at all. This is no longer a niche experience – mobile is how people consume digital content. If your mobile experience is poor, you will lose audience. The uptake in ad blockers has increased during the past couple of years. Early adopters have been using them to tailor their internet experience. 2016 will be the year their usage goes mainstream and the impact for publishers will be immense. Business plans at almost all major publishers are based on delivering eyeballs to ads – even at those who also have a subscription strategy. If the relationship between content and advertising breaks, then a new settlement will have to be found. Either by denying access to users of ad blockers, finding new forms of advertorial, or by publishers finding a way to manage their advertising in a way that is meaningful and useful for users. If they can’t they risk being swept away. The content business is going to get a lot tougher in 2016. The watchword of 2015 has been scale. Those that have it, want to retain it. Those that don’t, want to get it. As the content bubble continues to deflate some publishers will go to the wall, others will sell up. Consolidation will be a key factor in 2016. But the key decision for publishers will be whether or not to pursue a destination or distribution strategy. Here’s the thing: when I talk to students about where they get their news, they invariably say from Twitter or Facebook. Of course, when you dig into this they actually get it from a publisher who is using social media to disseminate their content. But users don’t necessarily distinguish between the publisher and the distributor. Brand and brand values don’t appear to survive the transition to social media. And that means users treat all information as being of equivalent value. Look at the rise of fake news sites that publish stories simply to get eyeballs to their sites – how often are people taken in by them? Even journalism students, who should know better, are sometimes fooled. Publishers have to decide where they want to focus their attention – destination or distribution? The received wisdom of the past few years has been to emphasise the importance of being where your audience is. But Netflix didn’t build its business on YouTube. Why should publishers, so keen to take up Facebook Instants, build their business on other people’s platforms? Give up your brand, give up your revenue streams, give up your platforms, and you give up your business. Media businesses are generally pretty poor at innovation – as this excellently argued article by the Wall Street Journal’s Neal Mann explains. All of us who’ve worked in jobs where we’ve tried to shake-up the existing way of doing things have encountered the same issues. Resistance to change, a culture that demands instant results driven by delivery to daily deadlines, a veneration of tradition at the expense of experimentation. That has to change and I think newsroom managers will have to bite the bullet in 2016 and create bespoke innovation units. Journalism and journalists will survive but if the media businesses of today want to have a future they need to embrace innovation as a process rather than always trying to copy ideas from others. And that means experimenting with everything. Cool stuff can be done with virtual reality, 360° video, and automation. And who knows what else is around the corner? Who would have predicted in the first internet boom that mobile would be key technology of the future? The key question is how can these things be turned into innovative systems that will deliver consistently for users in the future? If publishers take a structured and strategic approach to this, (experimenting, implementing ideas, measuring success and failure, focussing on the outputs not the processes, spreading success) they can build new products and new revenue streams that at the moment seem like pipedreams. Of course that may mean setting up things like the Second Life bureau – but learning the lessons of failure is just as important as reaping the rewards of success. I love Twitter. For me, and for many journalists, it’s a fantastic tool. Filled with ideas, ever-changing, and rumbustious. But it’s got a problem. It’s just not growing. And with the failure to match other social networks in scale comes a problem with attracting advertising. And that’s not going to solved by adding Moments. In 2016 I think Twitter will face an existential crisis. What is it for? What is its future? How will it grow? How will it make money for its investors? I don’t pretend to have the answers to these questions, and I suspect no-one knows the answers, but unless Twitter is able to find a new strategy it faces a future of ossification, stagnation and decline. 2015 was a pretty good year for TV news. Levels of trust remain high, viewership of the main bulletins has been broadly stable, the election was still fought on TV rather than online and some high profile transfers and relaunches have garnered positive headlines. There is a long term problem for TV news. It’s not breaking through to younger viewers and, as older ones die off, it faces decline. I expect that process to gather pace in 2016. Audiences will drop, perhaps not precipitously, but steadily. As viewers drift away from linear TV towards on-demand, the point of having an appointment to view TV news bulletin becomes less and less clear. And if younger viewers don’t pick up the habit of watching at 10pm – the format is doomed. The TV companies recognise this risk. If James Harding was employed at the BBC in order to bolster its digital coverage, the always impressive Jonathan Munro was brought in to manage the TV coverage; to ensure that quality was maintained during a period of sustained decline in audience as the BBC experiments with different formats for its journalism. This isn’t a prediction of imminent collapse but I think 2016 will be the year that the declining trend in audience and relevance for TV news becomes more clear. So, five trend predictions for 2016. But, as they say, the only things certain in life are death and taxes. 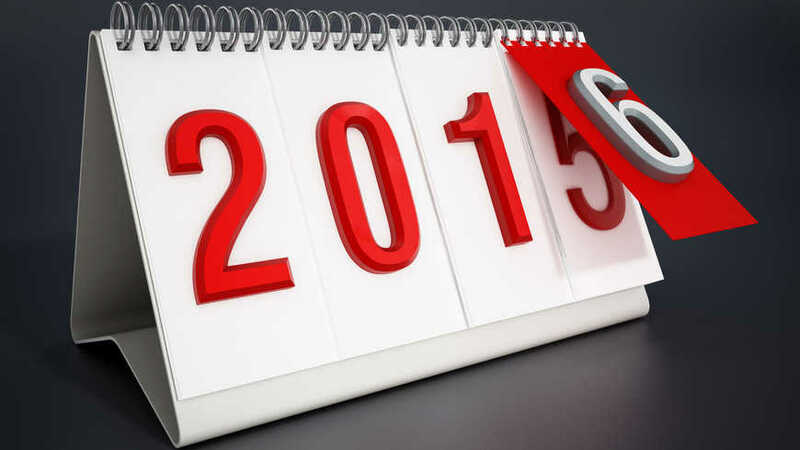 Previous Previous post: Media predictions 2015 – how did I do? Next Next post: Resigning live on The Daily Politics – can you trust the BBC?